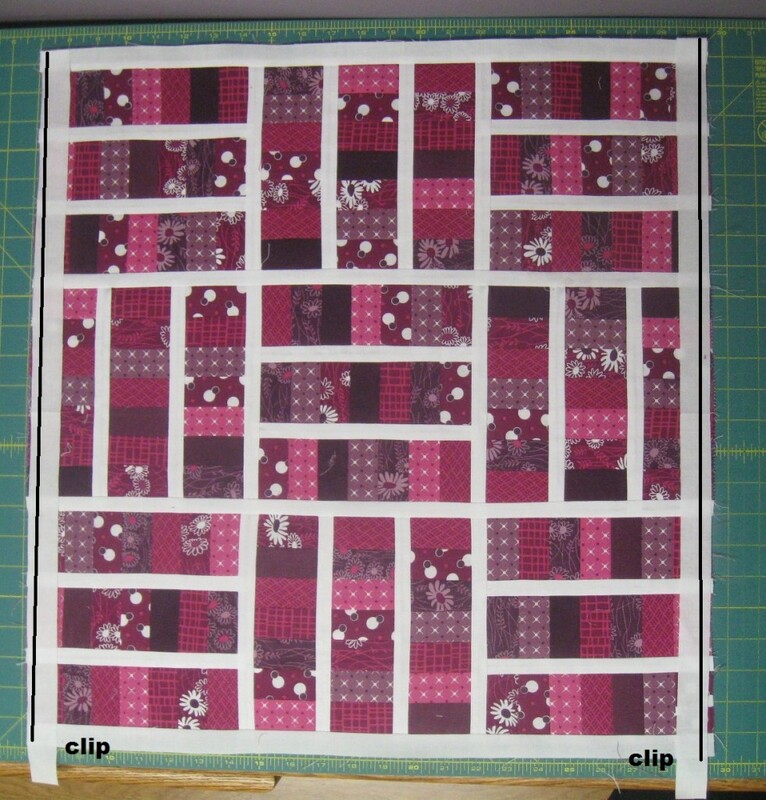 Happy Quilting: Sugar Pop N Change Mini - A Finish and a Tutorial!!! Sugar Pop N Change Mini - A Finish and a Tutorial!!! I am super excited to be sharing a new Moda Bake Shop Tutorial today as part of their December Mini Celebration!!! And wouldn't you guess, it's Purple!!!! The Moda Bake Shop asked some of it's chefs to take one of their favorite Moda Bake Shop tutorials and make it mini for this month ;) I choose one of my first tutorials, the Sugar Pop N Change quilt ;) This was so much fun to make in mini. Those little "coins" are just 1" x 2". So cute!!! From your Moda Bella Solids White cut (6) 1" x 25" strips and (24) 1" x 7 1/2" strips. I like to starch my white yardage before cutting as I will be cutting very thin strips that stretch easy. 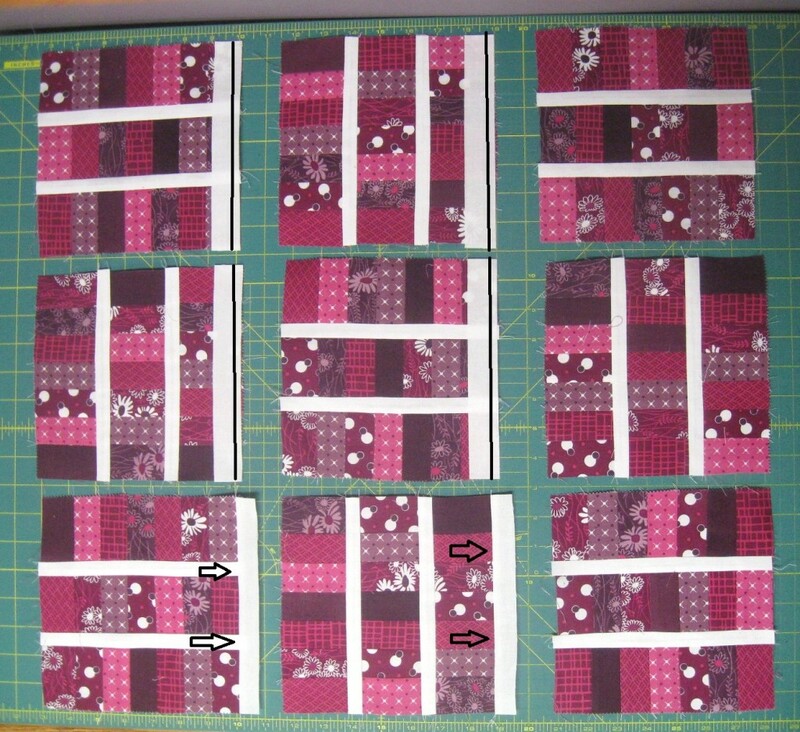 I found the easiest way to cut my print rectangles was to layout 7 jelly roll strips on my mat, trim the selvages, and then measure in 1 1/2" using my mat and cut. Continue doing this until you have 27 rectangles per strip. Each block has 3 "coin" rows that each consist of 7 "coins". 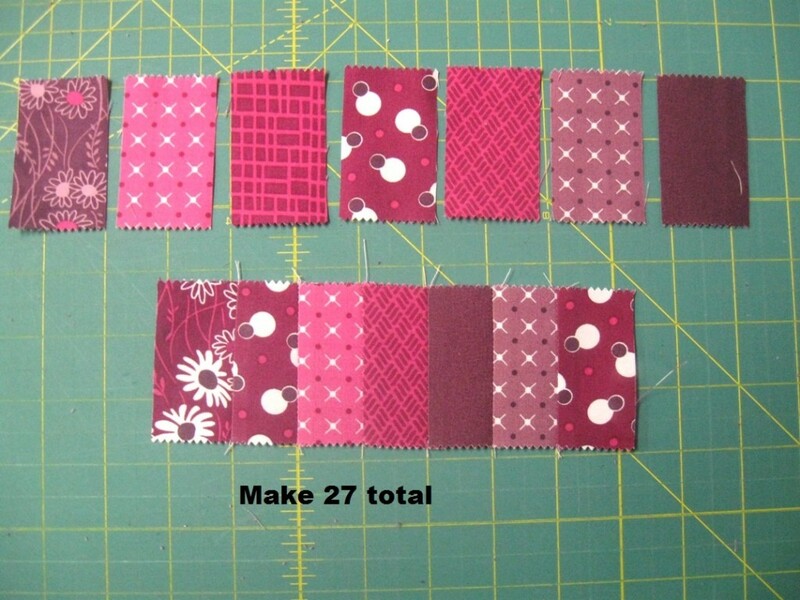 You will be sewing a total of 27 coin rows, each with 7 coins in them. 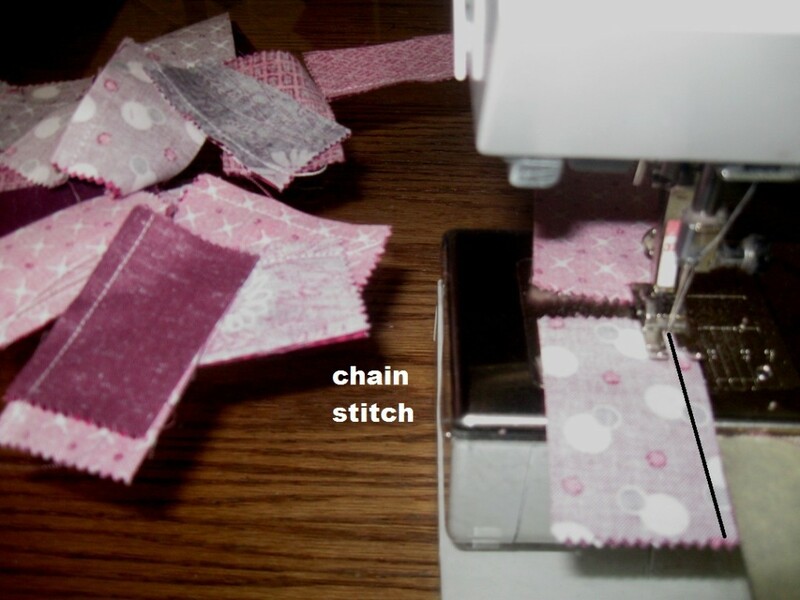 The easiest and fastest way to do this is to chain stitch. 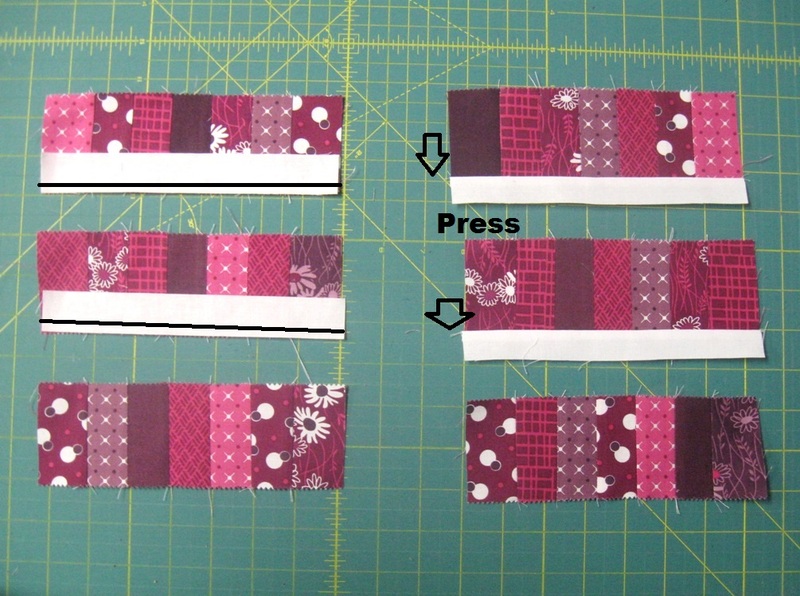 So, start by sewing a 1/4" seam along the long side of 2 print rectangles with right sides together. 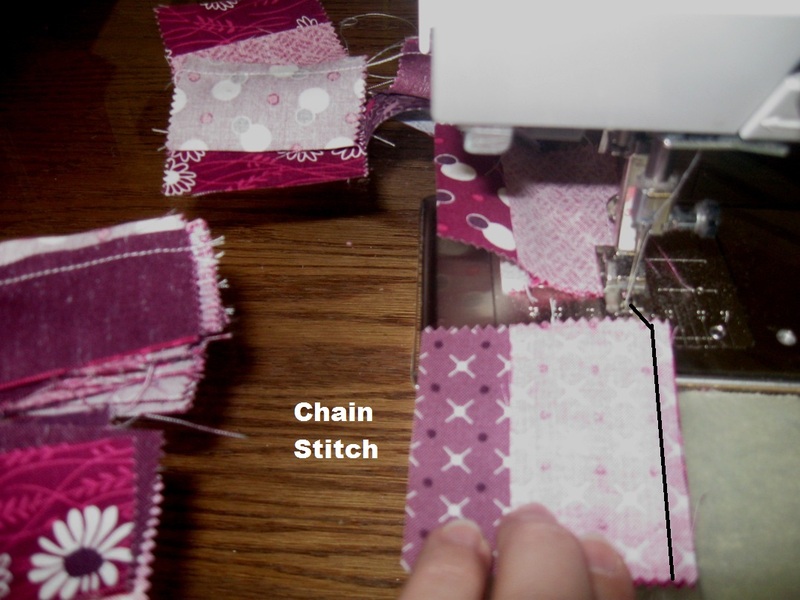 Then, without removing them from your machine or clipping your threads, stitch another 1/4" seam on a set of 2 print rectangles. 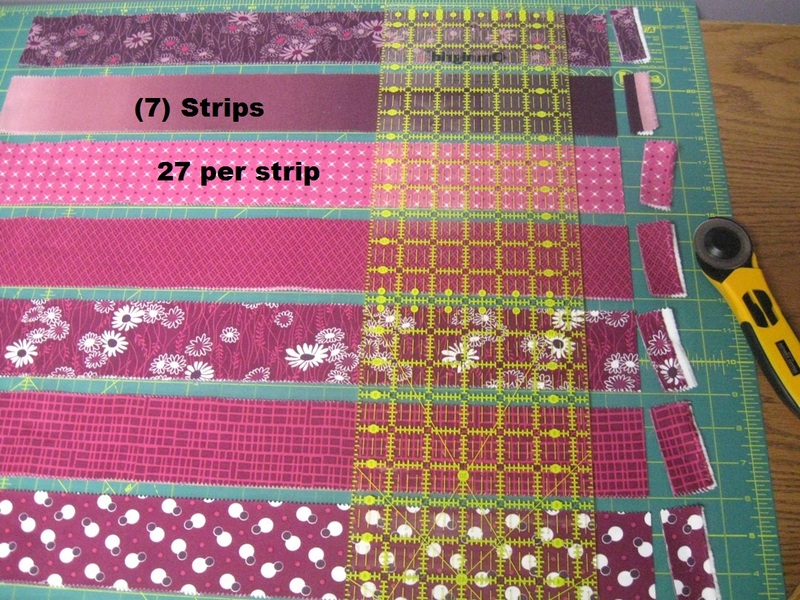 Continue in this fashion, until you have sewn 27 2 print rectangle sets. It is like making a long snake, or chain, of pieces. Then it is back to your machine. 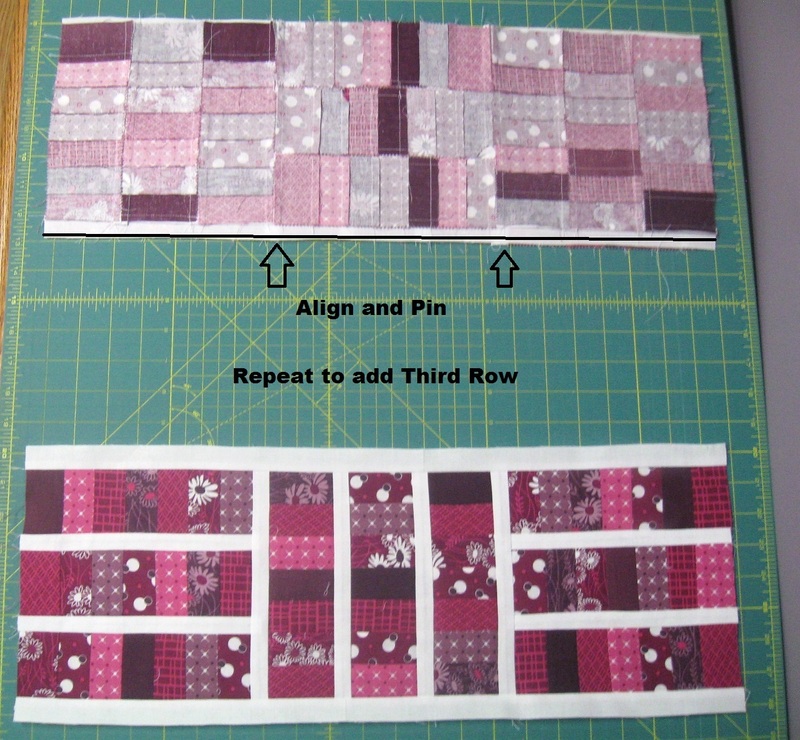 Place a third rectangle onto the now sewn together pair of rectangles with right sides together. Stitch a 1/4" seam along the edge. 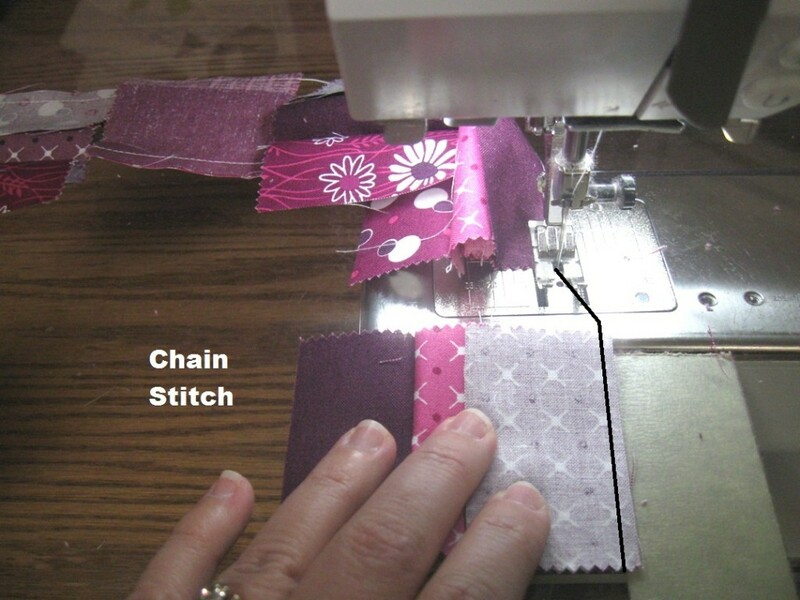 Once again, chain stitch a third rectangle on to all 27 pairs. Then clip your threads between each set. Repeat this process to add the fourth, fifth, sixth, and seventh "coins" to each of the 27 sets. When you have all 7 "coins" in each row, clip your threads and you are ready to now move to the iron. When pressing the rows, take care not to stretch them. 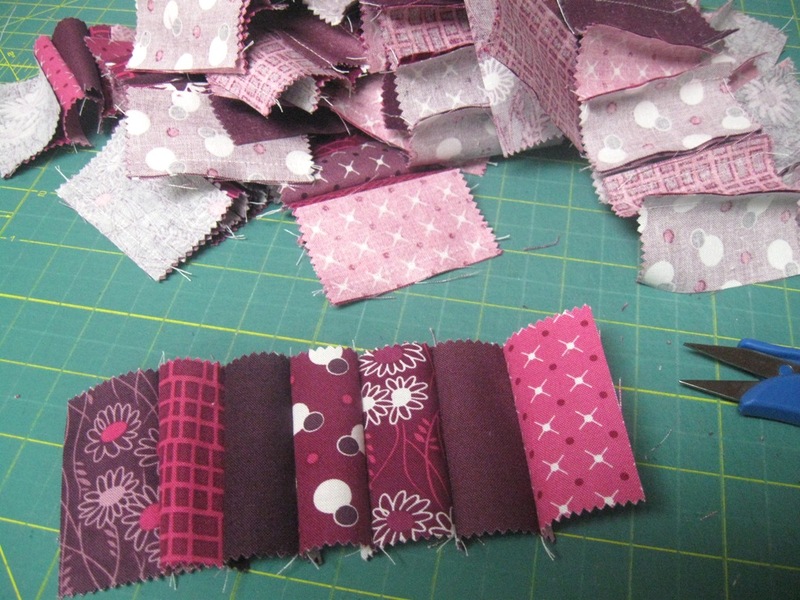 I like to use little starch when working with these small pieces as it makes it easier to piece the blocks together. 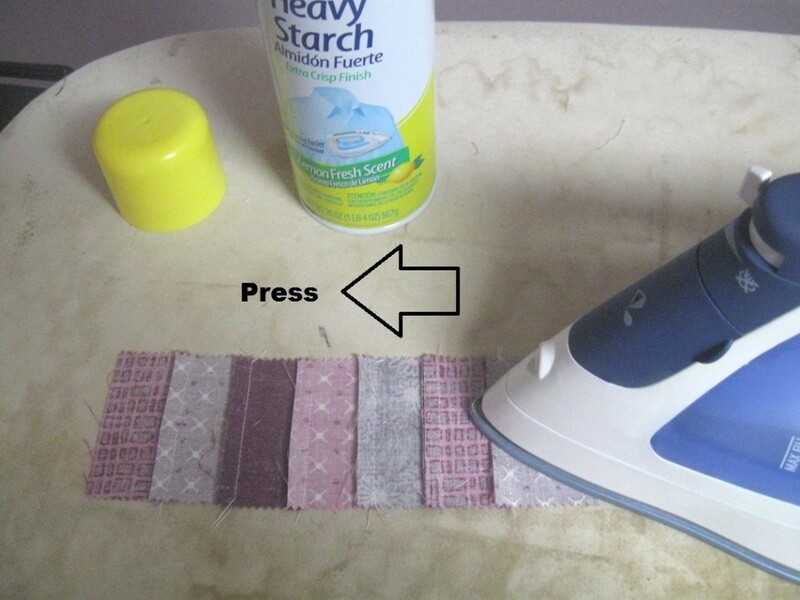 Press the seams in one direction and be sure to pull in that direction slightly so you don't get any little tucks in the seams. You should now have 27 "coin" rows that look a little like this and measure appx. 2 1/2" x 7 1/2". 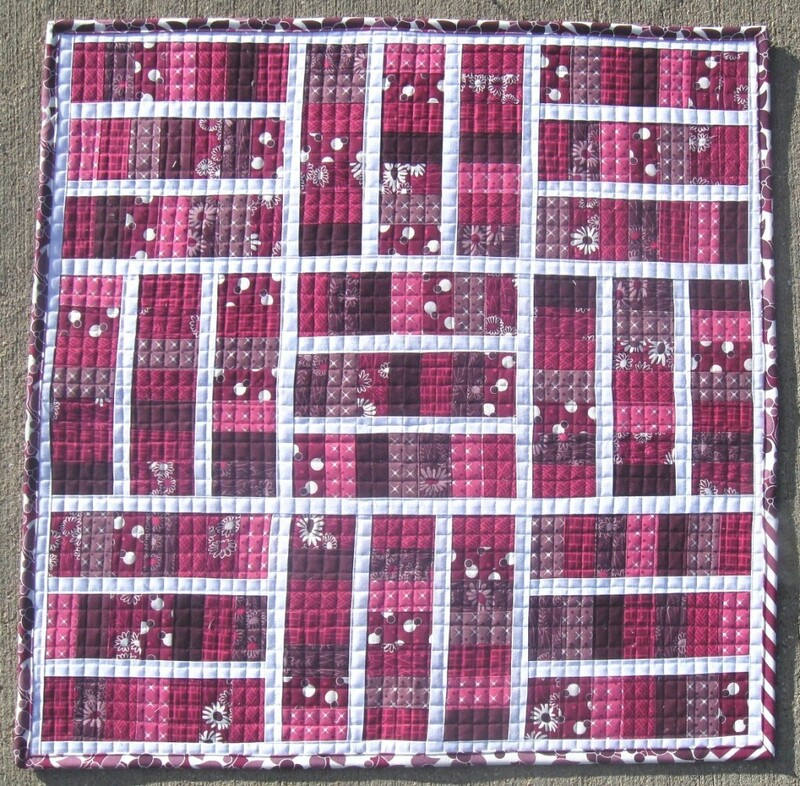 We will be making 9 blocks for this mini, and just like making the "coin" rows, it will save you a lot of time if you chain stitch each one of the following parts of Step 3 nine times so that when you get to the end of the step, all of your blocks are done. 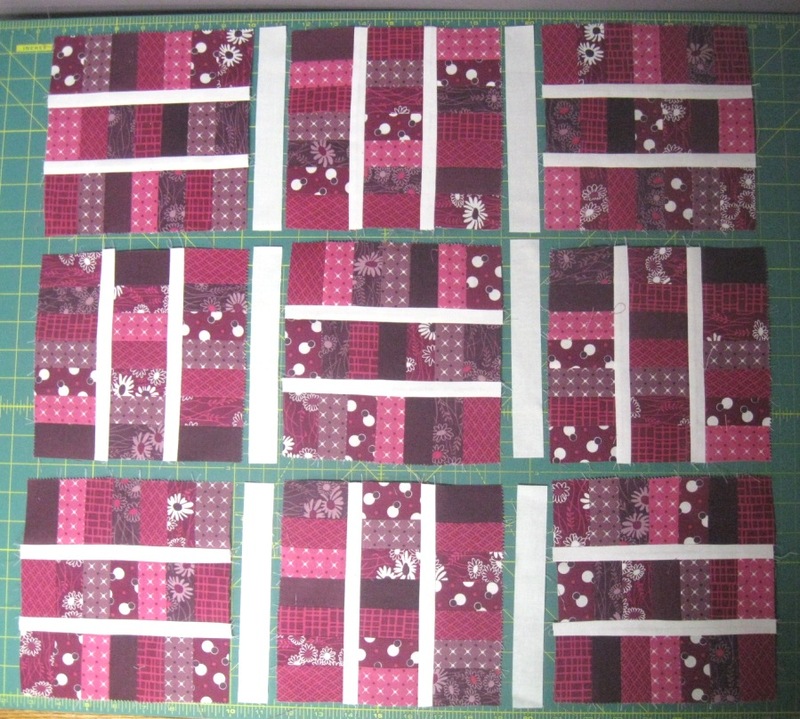 Layout 3 "coin" rows and 2 small sashing strips as shown below. 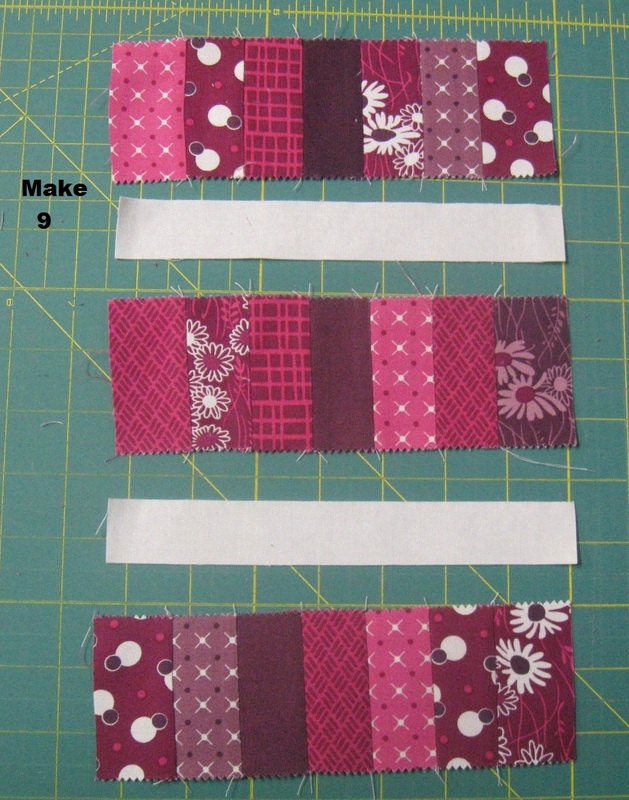 Place the sashing strips onto the coin rows with right sides together and stitch a 1/4" seam along the edges. 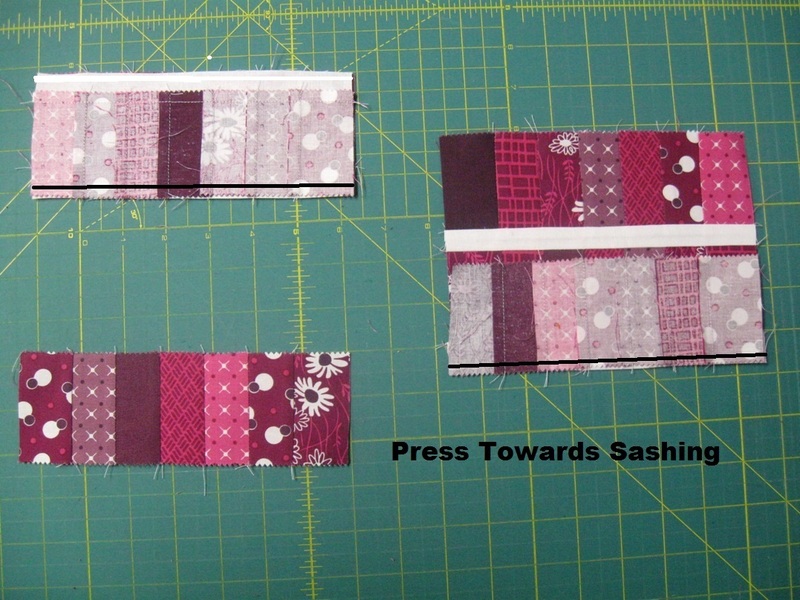 Press the seam allowance towards the sashing strips. 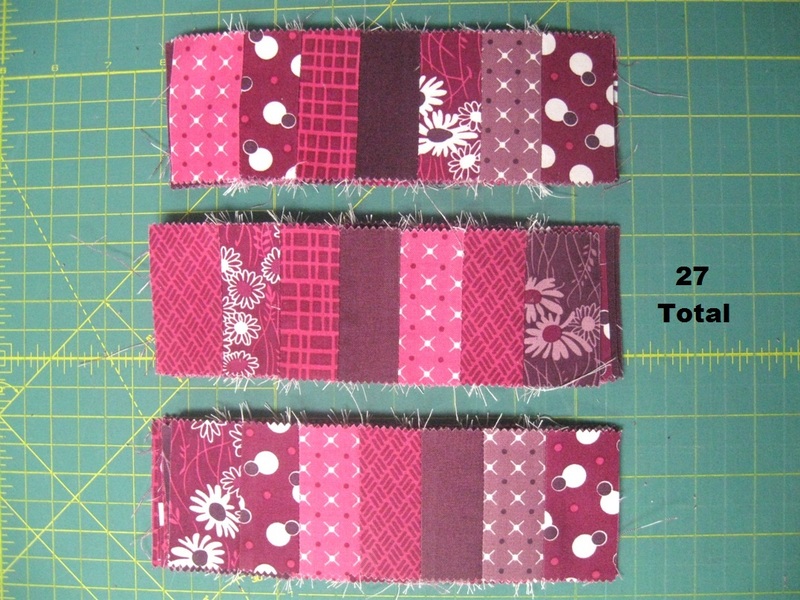 Then place the second coin row onto the first coin row with right sides together and stitch a 1/4" seam along the edge. Finally, place the third coin row onto the now sewn together first and second coin rows and stitch a 1/4" seam along the edge. Press the seam allowances towards the sashings. 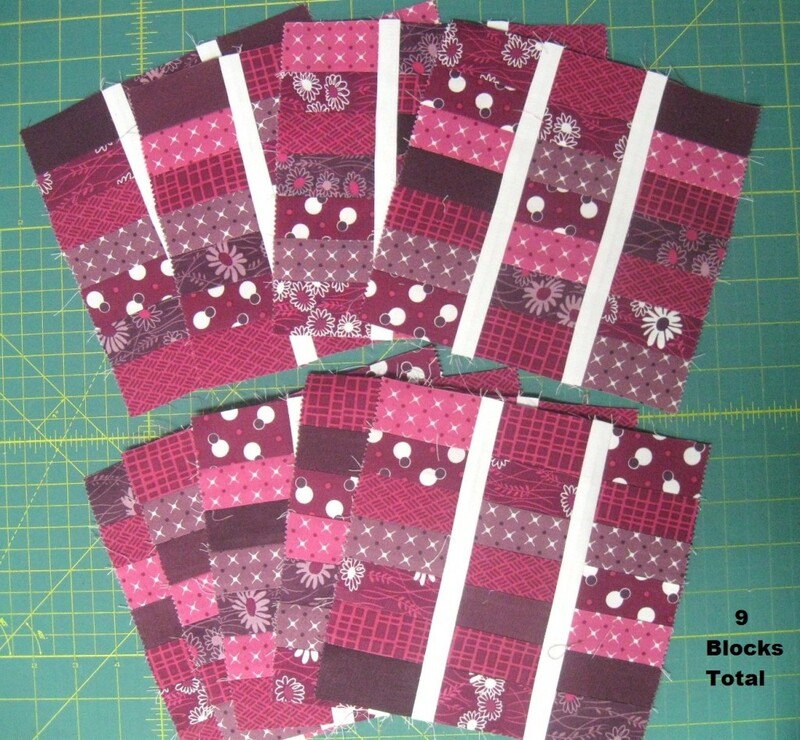 If you were chain stitching you now have 9 blocks ;) If you weren't repeat Step 3 until you have 9 blocks total. The blocks should measure appx. 7 1/2" x 7 1/2". 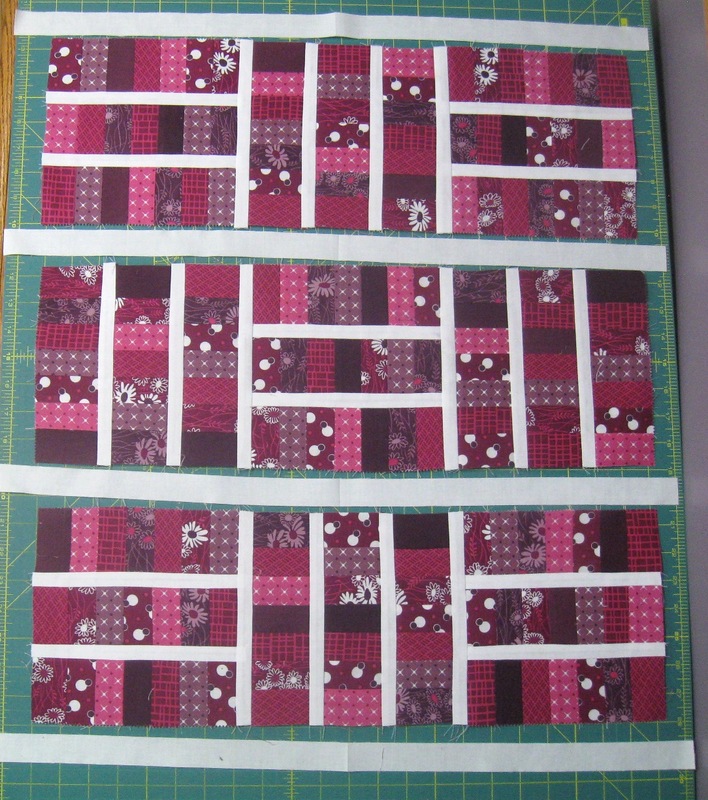 Place the small sashing strips on to the block sides with right sides together. Stitch a 1/4" seam along the edges. Press the seam allowances towards the sashing. Place the second block in each row onto the first block with right sides together. 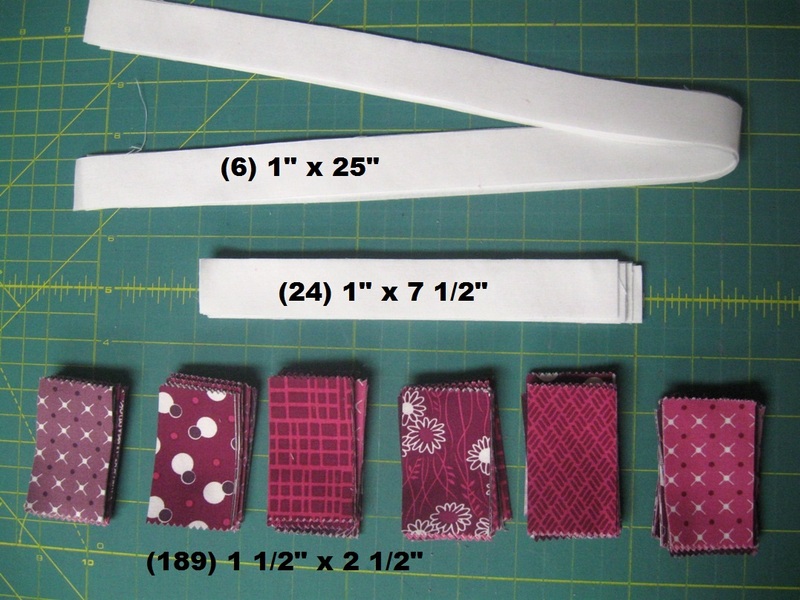 Sew a 1/4" seam allowance along the edge. Then place the third block in each row onto the now sewn together first and second block with right sides together. Stitch a 1/4" seam allowance along the edge. Press all of the seam allowances towards the sashings. 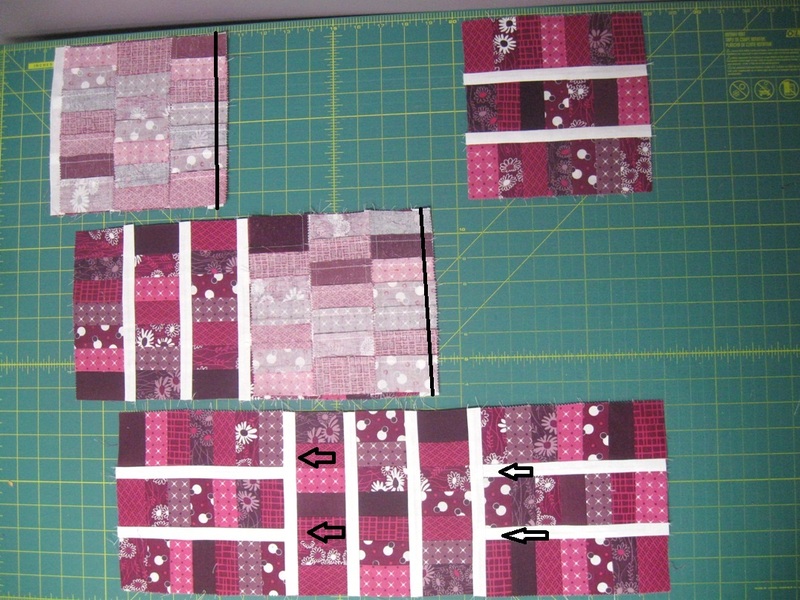 Place the sashings strips on the rows with right sides together. Stitch a 1/4" seam along the edge, aligning as you go. Trim or clip away the excess amount of strip. Press the seam allowances towards the sashing strip. Place the second sashed row onto the first with right sides together. Take care to align and pin each of the sashing strips where the blocks line up. Sew a 1/4" seam along the edge. Then repeat the process placing the third row onto the now sewn together first and second row, aligning the seams, and stitch a 1/4" seam along the edge. Press the seam allowances towards the sashing strips. Now all you have left to do is add the two side sashing strips. Place two large sashing strips onto the two sides of your mini with right sides together. Stitch a 1/4" seam along the edge. 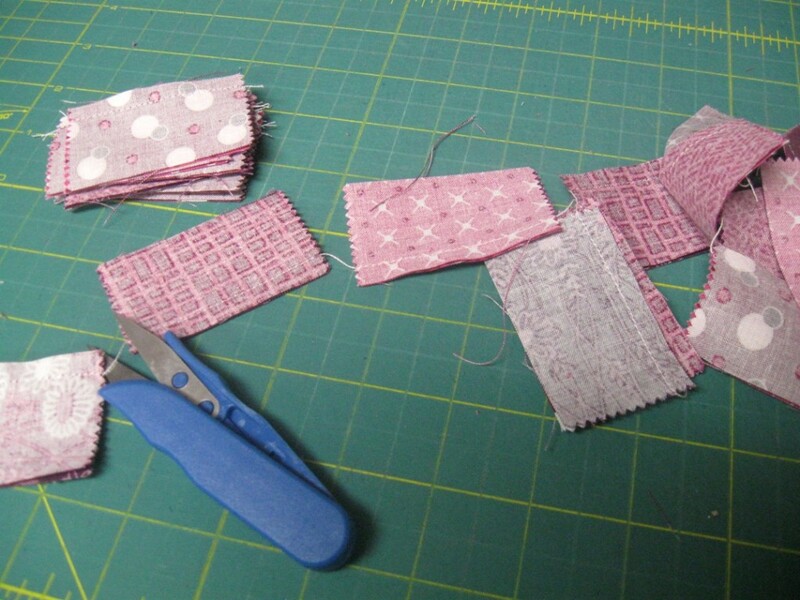 Trim or clip the excess and then press the seam allowance towards the sashing strips. And just like that . 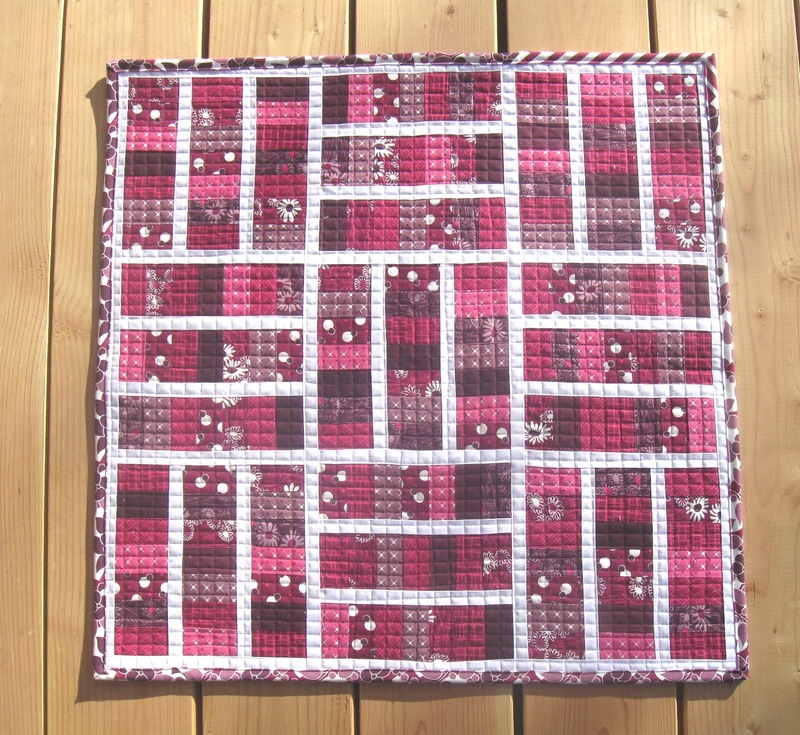 . . you have an awesome Sugar Pop N Change Mini quilt top!!! 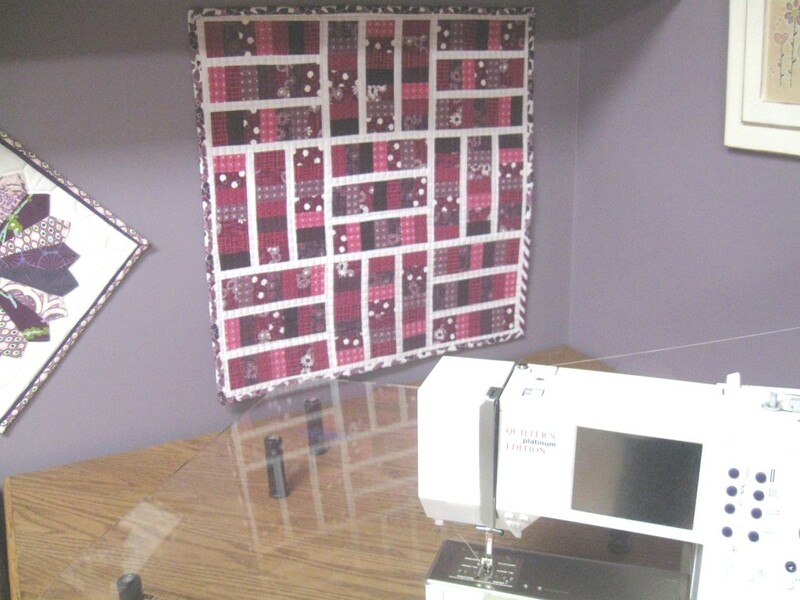 Your quilt top should measure appx. 23 1/2" x 23 1/2" unfinished. 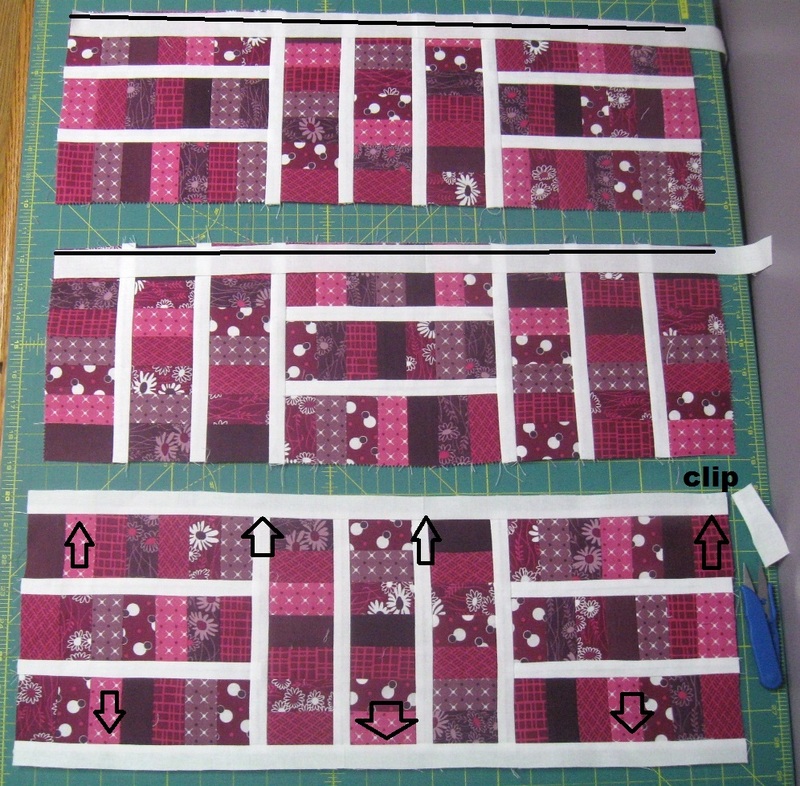 I hope you have enjoyed this tutorial and if you make your own Sugar Pop N Change Mini Quilt I would love to see it!! You can email me a picture at happyquiltingmelissa@gmail.com, post it to social media with #happyquiltingwithmc or or add it to my flickr group here ;) I can't wait to see your Sugar Pop N Change Mini Quilts!!! Thanks for popping in today!!! 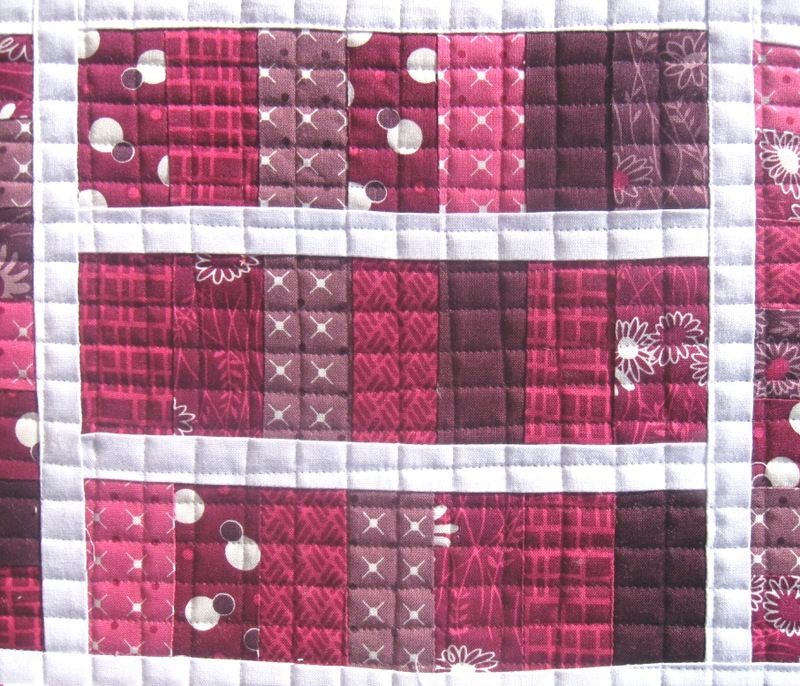 Have a Happy Quilting Day!!!! So cute! Loving the purple! so very cute. yea, those colors are yummy! 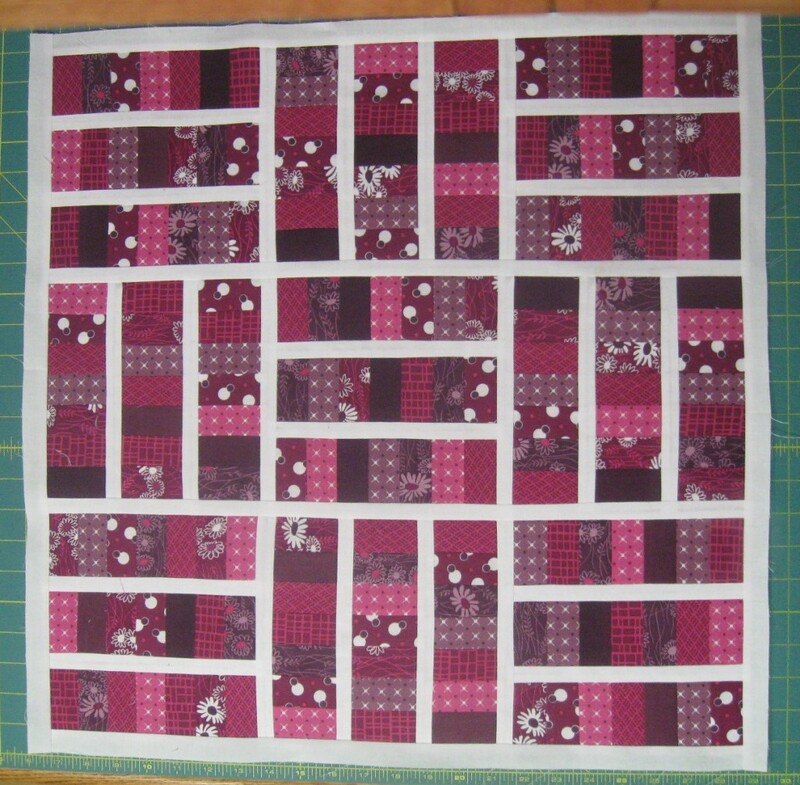 That looks great and I think the quilting is a perfect complement to the piecing. Super cute! I really like how my eye jumps around to the big polka dots. I need two last minute gifts, this is perfect! thanks for sharing. Oh my gosh - I bet this is incredible to see in person Melissa. Mini little coins - I love that! Oh that's so cute! What gorgeous colours!